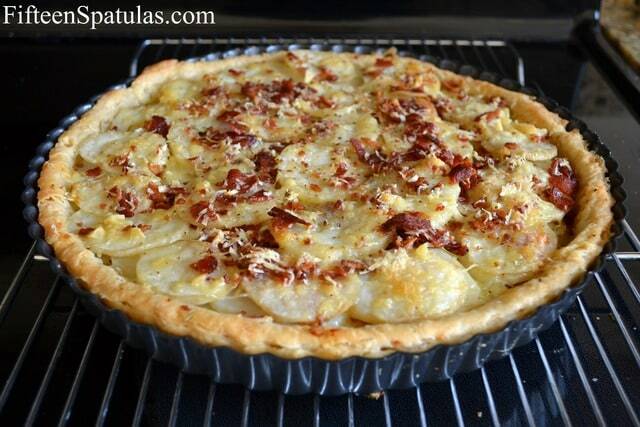 This heavenly Potato Tart layers thin slices of russet potatoes, bacon, gruyere, and rosemary in a flaky pie crust. It’s a special recipe that’s perfect for brunch! The tart is one of the most versatile dishes out there. 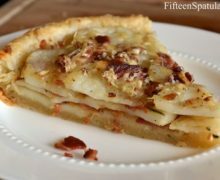 You can stick pretty much anything you want in it, and one of my favorites is to layer in slices of potato with bacon, gruyere, and herbs. Have it for dinner, have it for brunch, or have it for a snack. 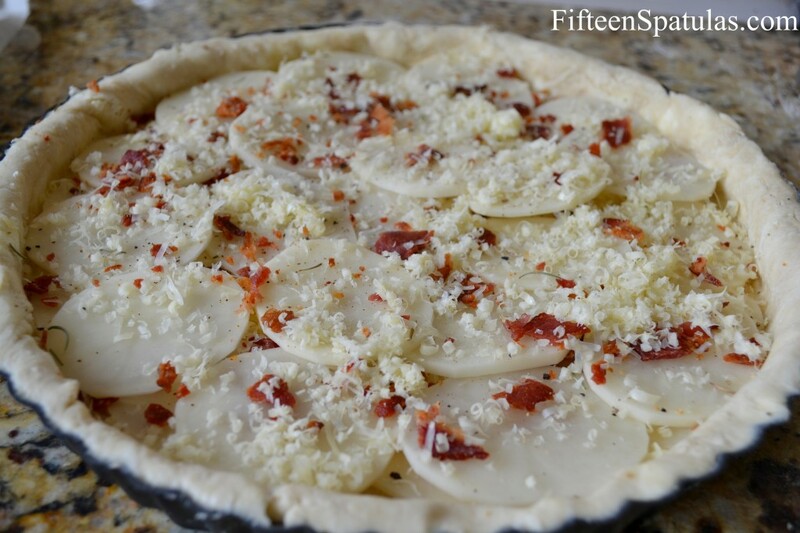 Drizzle a little olive oil on top, and pop it into the oven. 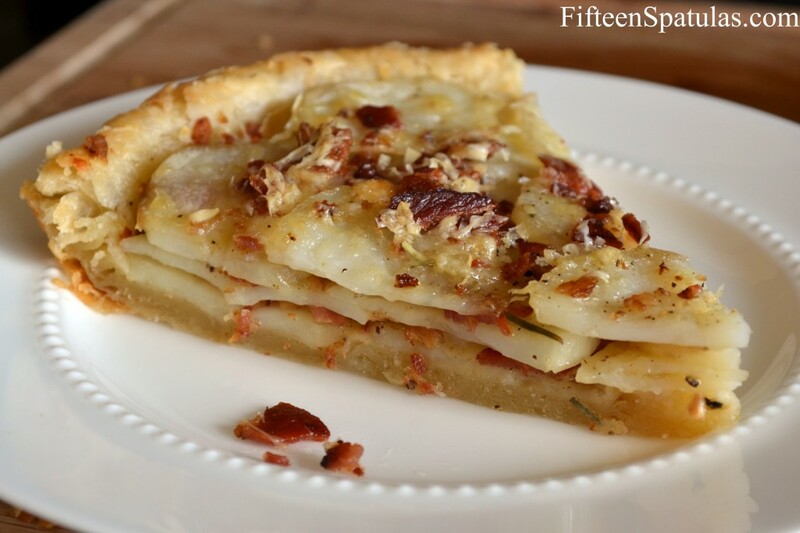 This heavenly Potato Tart layers thin slices of russet potatoes, bacon, gruyere, and rosemary in a flaky pie crust. It's a special recipe that's perfect for brunch! Cook the bacon in a skillet over medium heat until it’s nice and crispy (about 10 minutes). Drain the bacon strips on a paper towel, and pat the excess grease off. Crumble or chop your bacon up into small bits. 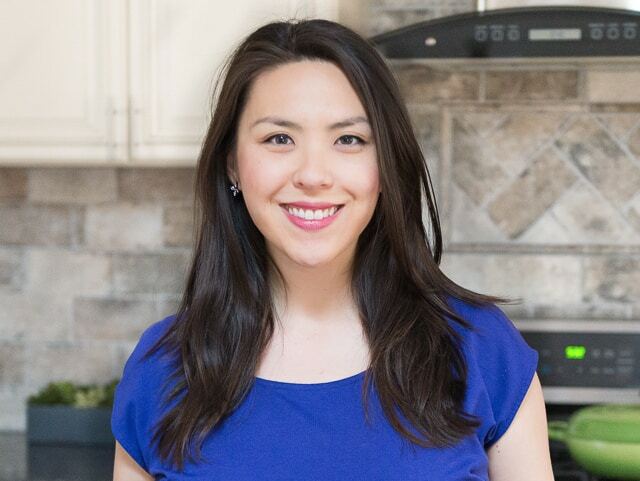 Peel the potatoes, then slice them into 1/16″ thick rounds using a mandolin or a knife. 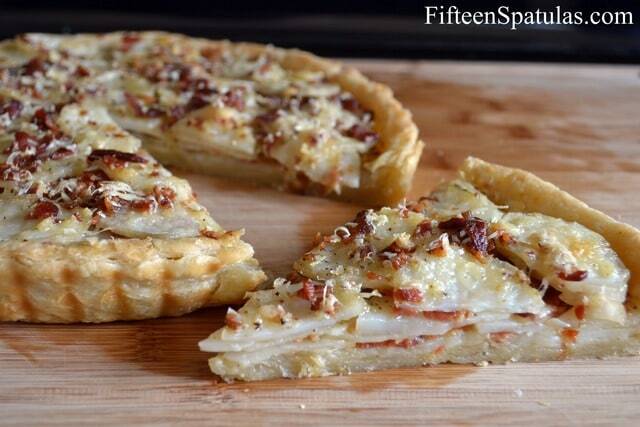 Line the potato slices up side by side in one even layer inside the unbaked tart shell. 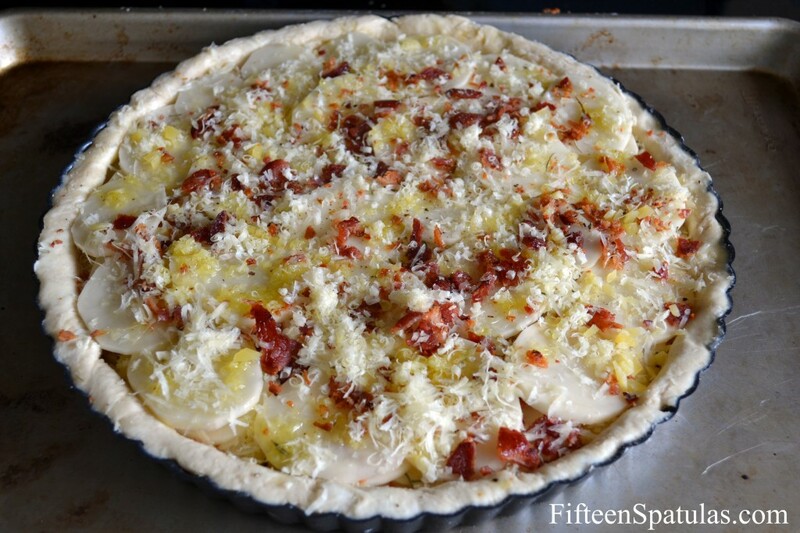 Season with salt and pepper, then sprinkle over 2 tbsp of bacon, 3 tbsp gruyere, and a pinch of rosemary. Repeat 3 more times, until you have 4 layers of potatoes. Drizzle 1 tbsp of extra virgin olive oil on top, and if you are using a tart pan with a removable bottom, place the tart on a sheet pan so butter doesn’t drip out from the bottom and burn in your oven. Note: if you don’t want to do bacon, thinly sliced ham is amazing in here too! Just layer it in. I like the idea of a little sugar in the crust ingredients. Excellent post. Thank you!!!!!! !